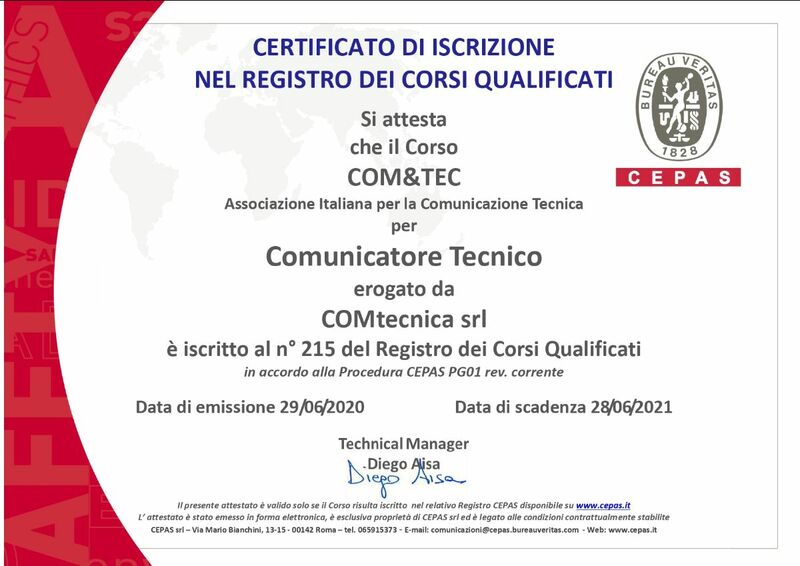 Submit your proposal for COMTecnica Conference 19, a conference organized by COMTecnica SRL for COM&TEC, the Italian professional association for technical communication, in cooperation with tekom Europe. The Call for Papers is now open and running until January 31! This is your chance to tell your story, share best practices or present your ideas on "Processes and Technologies in TC and Intelligent Information"
Making information intelligent is one of the key aspects in the time of Industry 4.0 and the Internet of Things (IoT). Companies face many challenges in adapting to these new requirements. The topic focus of COMTecnica Conference 19 will be on methods, tools and processes for delivering smart content. You can choose between these formats: presentation (30-40 minutes) or workshop (90 minutes) in English or Italian. Please note that the contribution must be product-neutral and may not contain any tool advertisements. Individual proposals are accepted. Partner presentations may be accepted on request. Please send your abstract (max. 150 words), your CV (about 80-100 words) and your photo (JPEG; 214x214 pix) via email at comtecnica19@comtecnica.com. For more information on the conference, please visit our website.